Understanding the requirements of your customer is vital in identifying solutions to meet the organizational needs. All organizations that undertake the design of solutions will be limited by the constraints of the organization. These are many and varied, from the basic utility and warranty, to the ethics and principles of the organization. 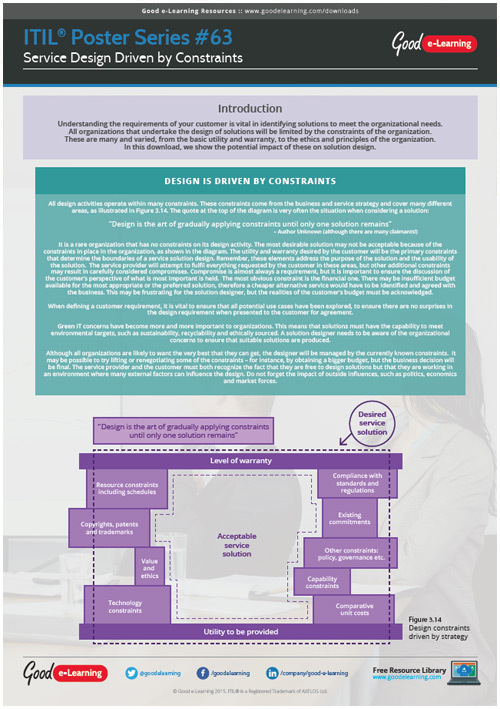 In this Learning ITIL Poster, our resident IT Service Management experts will show the potential impact that the many constraints of an organization can have on solution design.